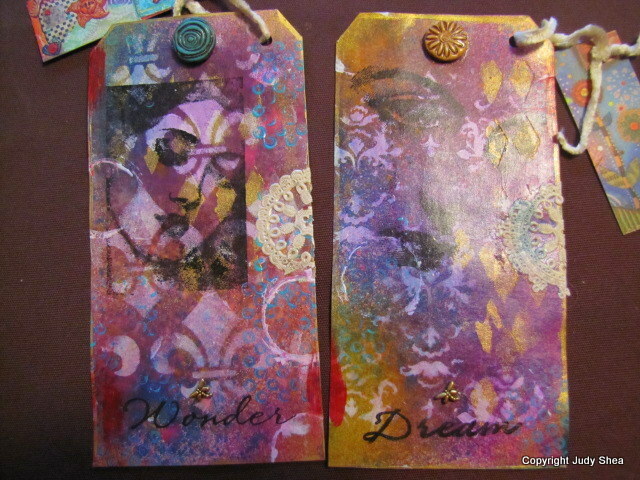 More Gelli Plate Fun & a Gelli Journal Give-a-way!!! 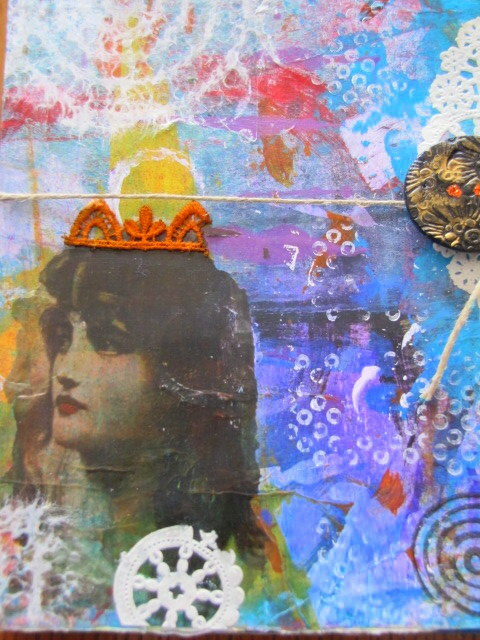 Hey, I’m back with another video on some gelli’ing. 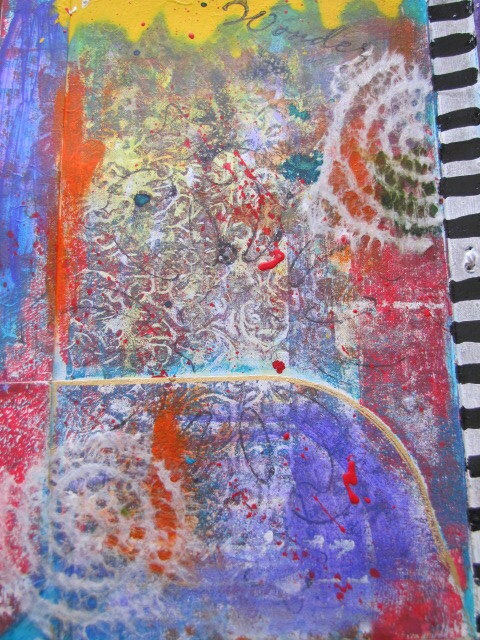 It’s now the end of the Gelli Print Party with Carolyn Dube, but I’m just loving the prints and making some cool art from them. Go check out Carolyn’s blog and see her videos, then check out her linkys to see what others are doing. Now, check out my latest video. 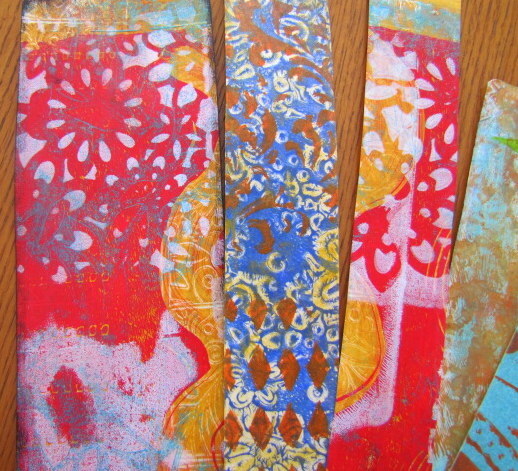 In my last video, I took some of my favorite prints and made nice strips with them. 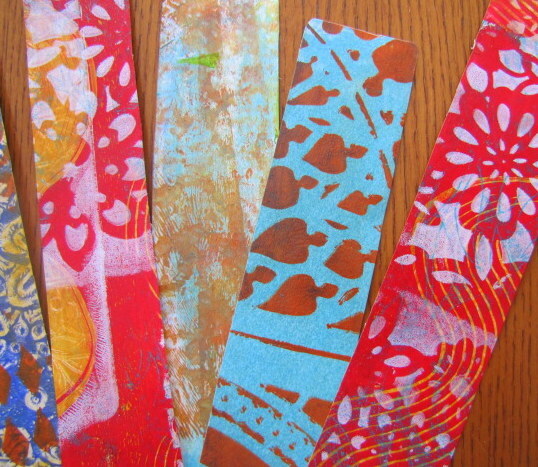 Maybe bookmarks? Click picture for close up. As much as I love my prints, what am I going to do with them all? I’m going to make a journal with them and give it away, that’s what. Yahoo!!! First, let me be clear…. I am NOT, I repeat AM NOT a journal maker. So, I am just taking the pages and sewing them together. Nothing fancy. 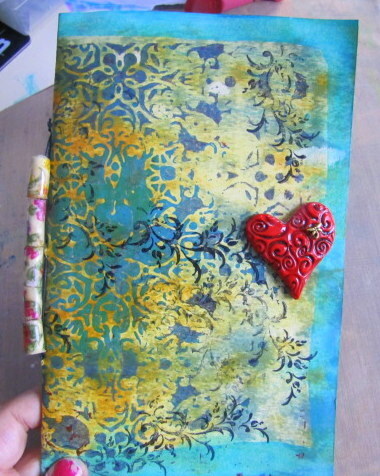 Make one signature, sew it to a cover and then they can be journaled on with backgrounds already for you. Thanks to my friend, Raine, for showing me how to do this a long time ago. 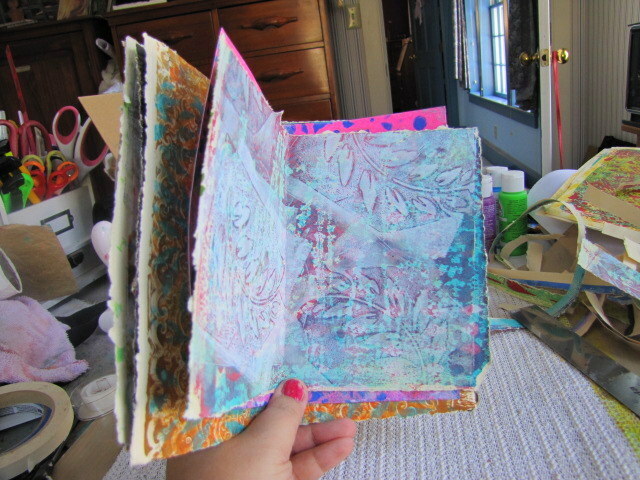 She makes amazing journals. I don’t even know the name of the stitch I’m using, that’s how much of an non-journaler I am. In and out, that’s what it’s called.. the “in and out” stitch. No, not really. I kid, I kid. 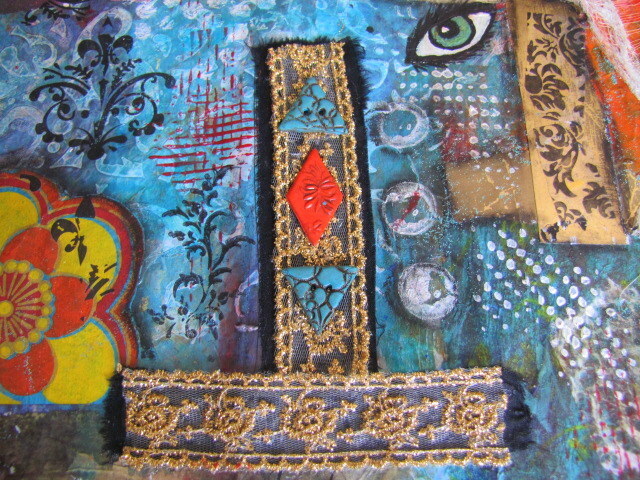 So, here is the journal I stitched together. 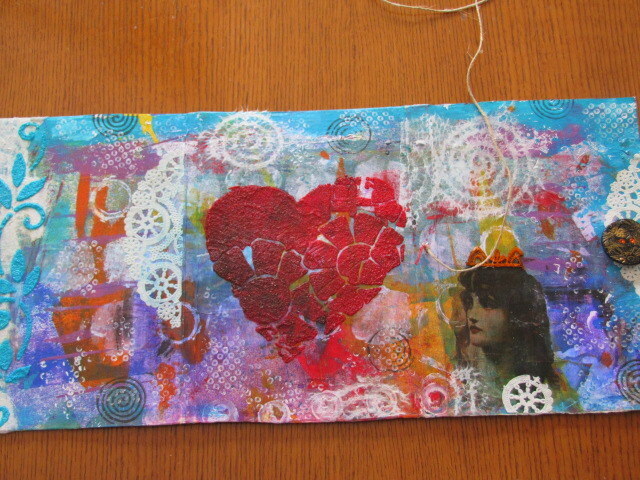 Simple, not fancy and ready for your mixed media fun and journaling, collaging or whatever you want to do with it. 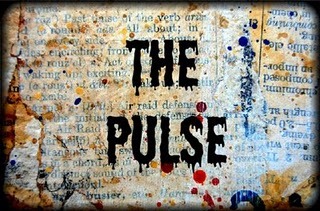 You could glue a blank page to an inside page and journal on that OR paint some squares of lighter paint to write on. So many ideas. 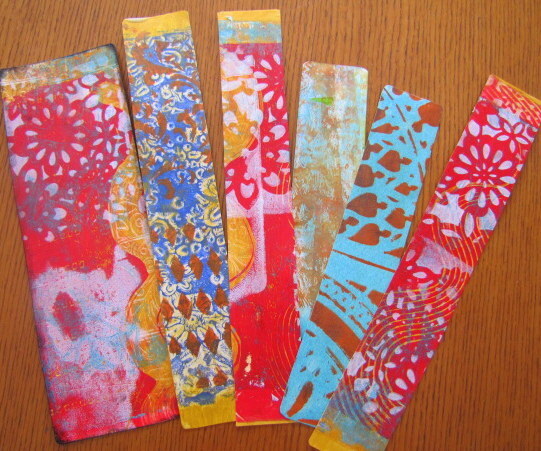 I gathered all the Gelli papers together and ripped them down to size with a metal ruler and just pulling strips off so they would have torn edges. A few pages are smaller than the others, just for fun. 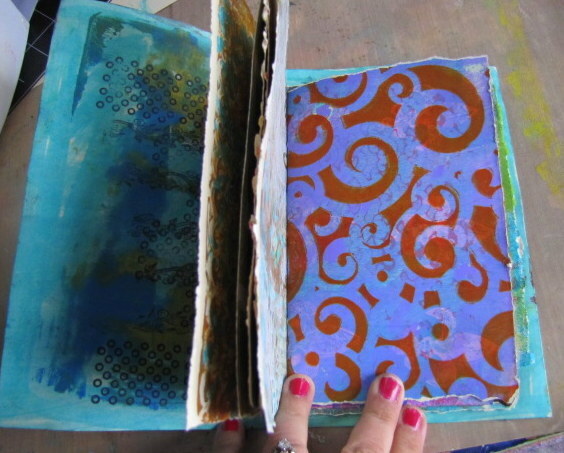 Then I made a cover page and coated with Liquid Laminate (love that stuff) to seal. I made 3 holes in the binder and used wax thread and an upholstry needle to sew all the pages together. 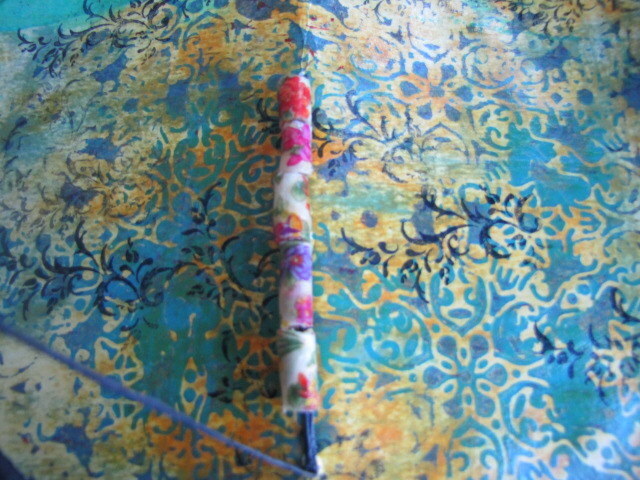 Again, in one hole, out the other until I used up the thread and the pages were nice and snug. Strung some fabric beads I had made on the binder edge and added one of my “buttons n’bellishments” to the cover. 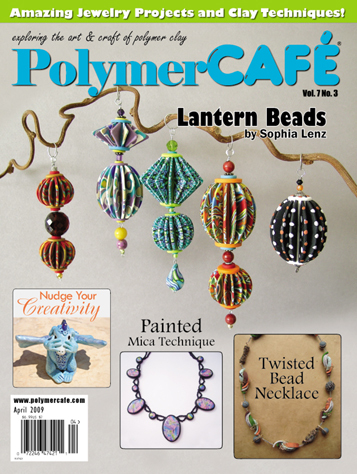 If you want to learn how to make one of these embellishements, take a look at my online class and join us. I hope you enjoyed our party. 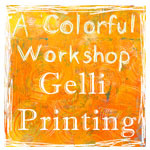 Thank you, Carolyn, for a great Gelli Print Party!!! 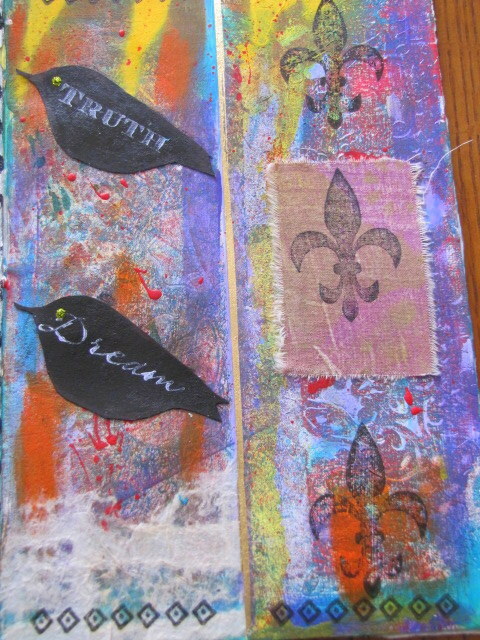 If you want to win this Gelli Journal, leave me a comment here and then if you have a Facebook page, like and share my post there. I’ll pick a winner this Friday, 1/11. Thank you for stopping by, as always. I love to hearing from you. Happy New Year, everyone. New Year’s Day is a family day for us. The holiday craze rush is over and it’s time to chill and enjoy the final day of my vacation. Boy, what a great week I had. I tried to get in my studio as much as I could. I did manage to finish up my online class, “Buttons n’bellishments” and have it ready for Joggles in February to start the workshop. 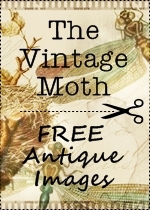 Please check it out and join us. Now, I don’ t know a better way to start off the year than by having a party. 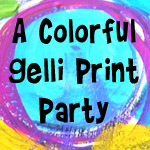 A Gelli Plate Party, that is. Carolyn Dube is the instigator on this one. Go to her blog to find out the deets and check out her video HERE. She’s already on Day 2. 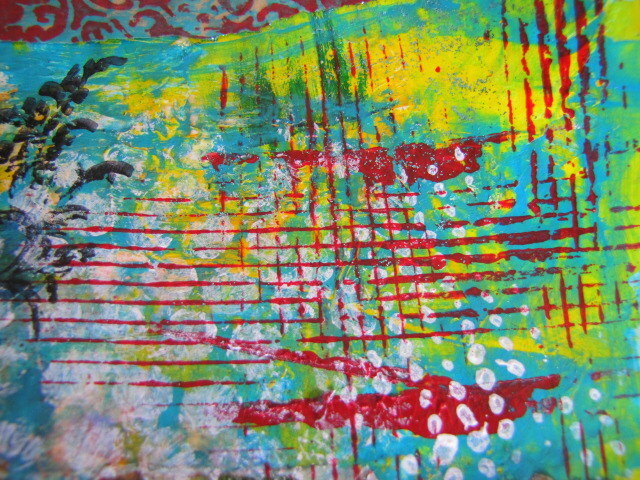 This is my first take on the Gelli Plate. I got myself one for Christmas. Thank you, Judy! Lots of fun ideas rolling through my head. I mean, really, where does it end? I had to cut down the video a bit, cuz I just couldn’t stop my self. So, I took some still shots to show you my results at the end. Carolyn warned me. But, I’m safe now. Wasn’t that fun? I hope you enjoyed that. I can only imagine even getting more creative the more you play. I love the imperfections. 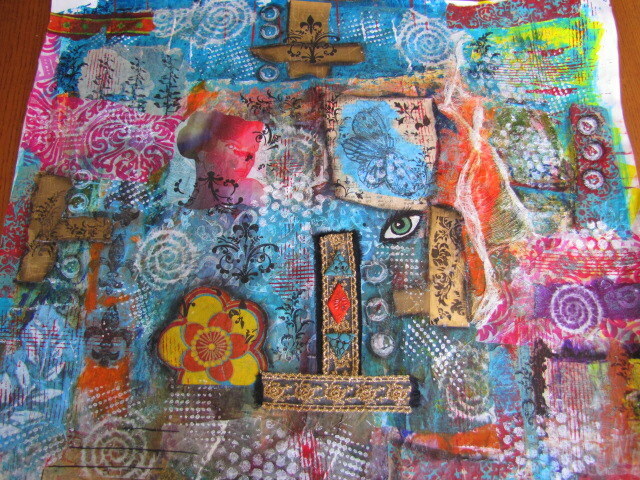 I tried to use my already printed sheets to create more layers instead of always using a new one. I was groovin to Bruno Mars in the beginning, so that’s the reason for my dancing papers. 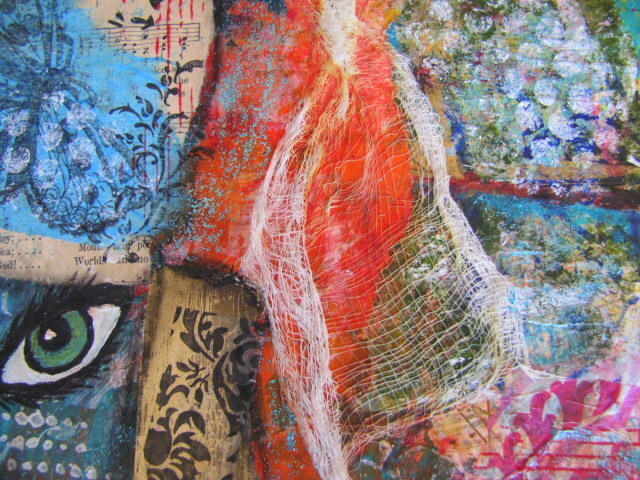 So, I had a pile of Wausau paper and many craft paints that were just sitting around my studio for years. Wondered what I was going to do with them eventually. 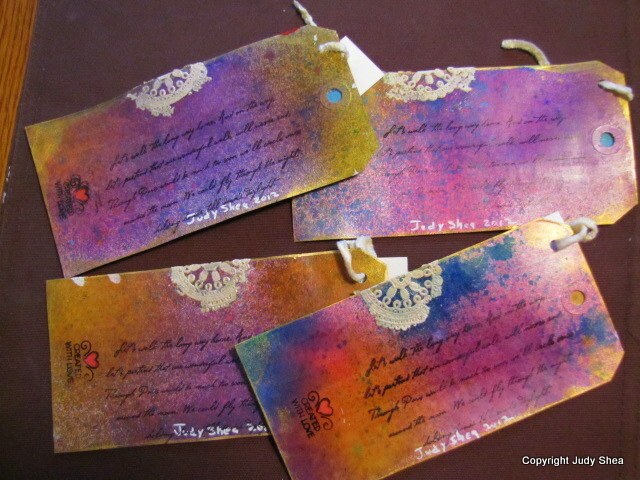 And then they invented the Gelli Plate. See that, I had them sitting there for a reason. Love when that happens. Love to hear back from you. Let us know if you’ve “gellied” lately. Last week, I met my girlfriends of 33 years. We’ve met back in 1979, all working for the same company. We get together about 5 times a year. Sometimes we go away, but mostly we have wonderful dinners together. We are called the “Bitas”, prouounced “bee-tahs” (long story). We all have our different personalities and great sense of humor. We know how to have fun and get a bit rowdy. In the old days we would be up all night. Now, things have changed quite a bit. It’s bedtime by 10p.m. for most of us. We’ve been through our weddings, having babies (and watching them grow to be so proud of them), divorce, surgeries, deaths, wakes and funerals… life, you know what I mean. Now, two are grandparents… Not me yet.. no way. We are a simple group of ladies.. we have an understanding.. we don’t judge each other and accept us for the way we are. Our gifts are simple, if any at all. Our company is our gift. 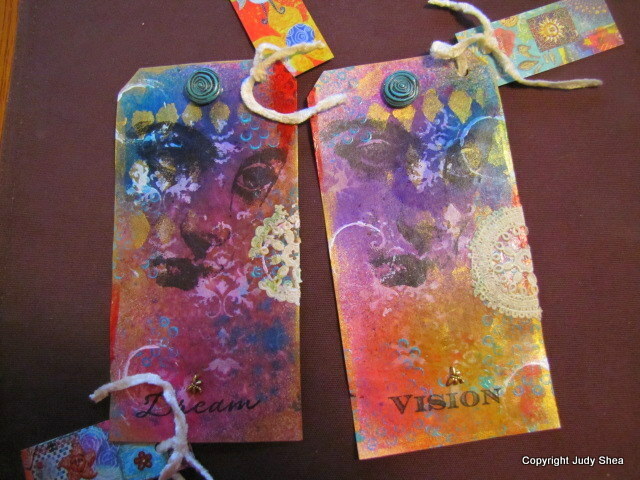 When we got together this week for our holiday dinner, I decided to make some handmade Bookmark Tags. 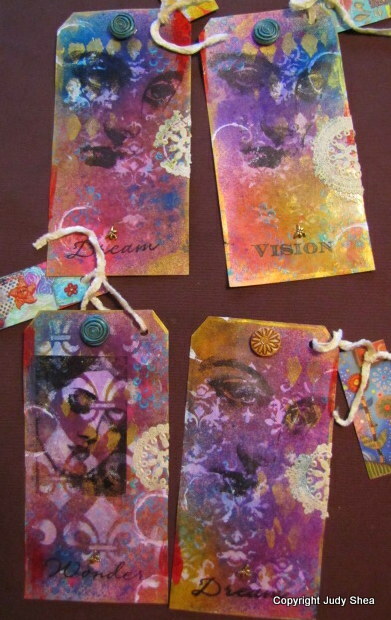 I took some large tags and spritzed them with Dylusions of different colors. 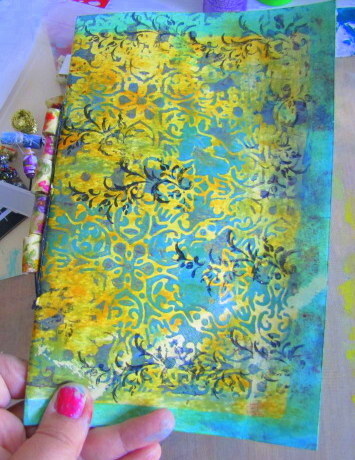 I applied white acrylic paint through a stencel over the ink to give it the Faux Batik look I had done in my post here. Added gold acrylic paint around the edges. Stamped a woman’s face and a word on the bottom. 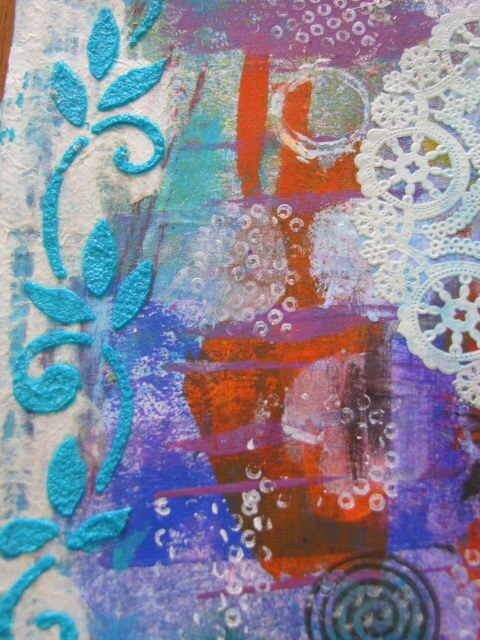 Added old paper doily pieces. Used a bottle cover as a circle stamp. Covered the hole with my handmade polymer clay embellishment. Punched another hole to add my business to dangle. 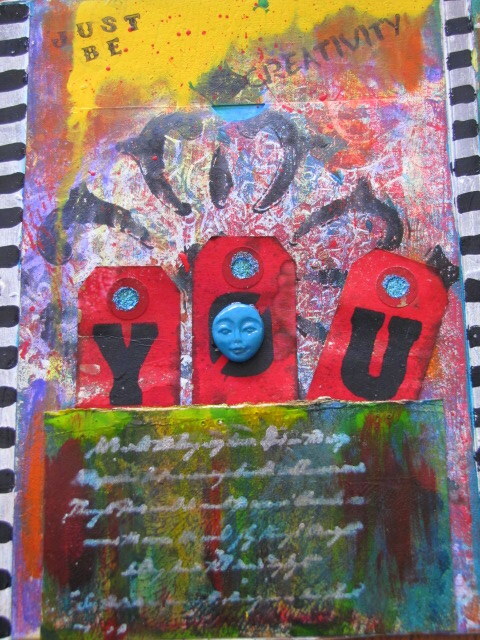 On the back of the card, I stamped a love poem and a “made by”. The girls just loved the bookmarks. It’s something they will use. As Annie would say “I don’t need anymore s**t”. Got the message loud and clear. You’ll use this and it won’t take up any room. Promise. 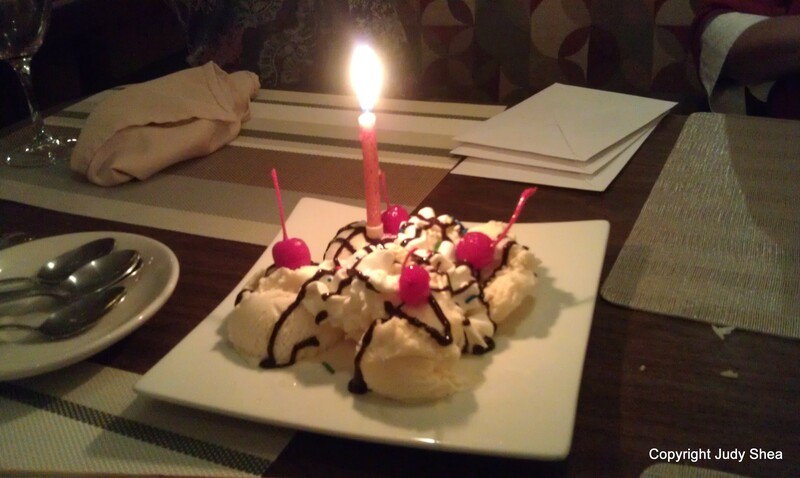 Here is a picture of us this week at dinner…and we celebrate Sarah’s Birthday. Happy Birthday, love. 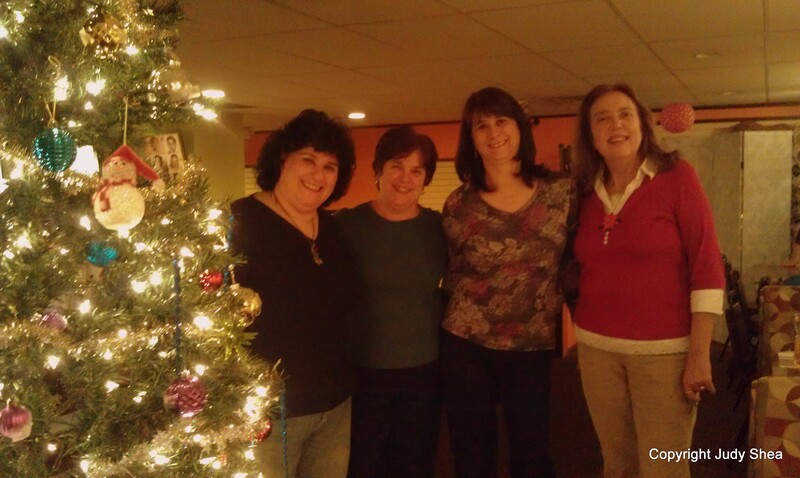 From left to right: Me, Annie, Michelle and Sarah. So, I dedicate this post to my wonderful “bita” friends. Love you all. My life would not be the same without you.